Reading and Writing Redhead: Spring has Sprung Poetry Blog Hop! I am so excited to have joined in with some other teacher bloggers for a poetry hop to celebrate! After you check out my post, be sure to head over to Second Gradalicious' blog here to see what she posted (or click on her cute button at the bottom of my post!). 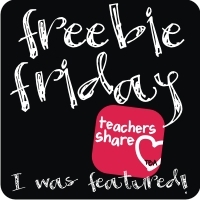 Some of us have freebies for you -products, resources, guides. There also may be a giveaway or two included in the hop! We hope you enjoy! Teaching poetry is one of my favorite things to do. It's not officially part of our reading program - there are only a few poems in our anothology. However, I feel it is so worth it. Every year I spend about 3 weeks working on reading a lotmofmpeomd with the students and teaching how to written them also. The students write tons of poems and we the them up and turn them into fun poetry books, invite the parents in, and have Author Share Day. It's so fun ! And the kids have a great keepsake to bring home. Here are a couple of my second graders getting ready to greet their parents on Author Share Day! I use a lot of resources that teachers I worked with long ago gave me , so I have no idea where most of them came from originally, but I have found some really great resources online and in print. I have a little downloadable resource guide that you can snag for the online websites. I will post links to some print resources at the end. I usually teach acrostic first and start with having them do a poem with their name. It's super fun to see what they come up with. As second graders, I know they can write at least a few words per line, but it is interesting that some of them want to just throw one word down there and move on to the next line. I also find myself explaining that everything has to relate to the topic - you don't just write anything random you can think of that starts with that letter. I also write an animal acrostic with my class - usually FROG because it is quick to do together. I have them keep out their individual dictionaries which helps when they get to a letter that is tough, like U. Check out this acrostic poem - I had to post it because this is my name and the name of the host of our blog hop and I used to play violin! The website it is from has an amazing lesson plan for 6th graders (a little to advanced for my class) but it is so detailed. Check it out here. It is by Rosalyn Vazquez. With cinquains and pyramid poems I use graphic organizers to help and set up the students' papers kind of like mad libs, with each line having a little label underneath to remind them what kind of word to write. The pyyramid poems I use require adverbs so we usually do a big adverb brainstorm and make a list of at least one or more adverb for each letter of the alphabet. There is so much more I could say but I want to know if you teach poetry? What do you love about it? What resource is your favorite? Click here for a copy of my Teaching Poetry Resource List (the cute font I used didn't seem to come out on google docs - I guess if you don't have the font installed you won't be able to see it - sorry). There are some really fun online resources on it. I hope you can use at least one or two of them. Here are some books that have great poems I read to my class and poems they enjoy during DEAR and Buddy Read. Here are a few resources for teaching poetry to kids - mostly aimed at teachers but the Jack Prelutsky is kid friendly. And boy does my class love him! Thanks so much for the great list of resources! Thanks for stopping by! I just went over and checked out your blog. I'm your newest google + buddy! 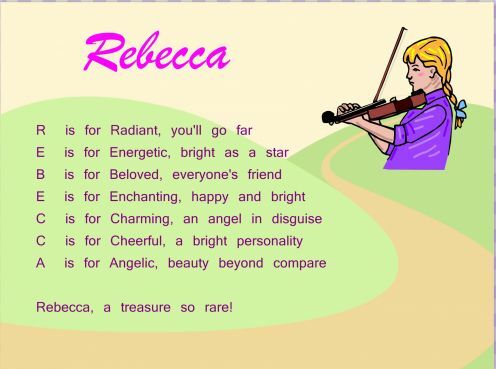 Obviously, I too love the REBECCA acrostic you shared. And some favorites of mine were among the books and anthologies too! I really liked Kenneth Koch's books. Have you read "Rose, Where Do You Get That Red?" by him as well? It really impacted my thoughts about teaching classic poetry to young kids. Hey Rebecca, no I have not read the Koch book - That sounds interesting! I will check it out. I sometimes shy away from classic poetry so I am curious to see what he says. Thanks!